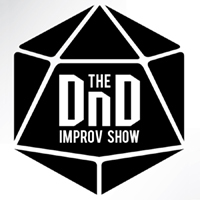 Winnipeg Fringe favourite The DnD Improv Show returns for its 11th Fringe run. A fantasy improv show inspired by Dungeons & Dragons, each shows begins where the last one left off. Come cheer on your favourite hero and boo your favourite villain as the giant 20-sided dice decide their fate. Enjoy one show or come see them all! As we were leaving, my partner asked me, how much of this do you think is scripted? Well obviously not the scenes or it wouldn’t be improv, but it speaks for the ingenuity of the company that despite the random nature of the show, they always have a prop or set piece available. Much like a proper campaign, I imagine that the general story is planned, and clearly certain elements were made when characters were planned out, but it maintained all the charm of a proper improv performance. If you’re going to see this one, I suggest not picking favourites, as 3 characters died on the night that I went alone, and there has been more. I was surprised and a little disappointed when the show ended, I hadn’t even noticed that it had been an hour. I could watch this company for hours.